So this was my first dedicated brand new specifically for bass pedal purchase. I spent the last week trying to come up with some way to do an audio file or YouTube demo myself that did justice to the live sound of this pedal and had no success. So I gave up and decided you could just check out the much snappier Ibanez product video here. I decided to go for the TS9B for a couple reasons. 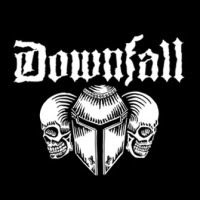 I was plowing around the internets trying to figure out what effects (if any) Jo Bench of Bolt Thrower used to get her sound. I always liked how Bolt Thrower's bass had this low gravelly presence, but every once in a while this kind of metallic reverb would of break through. They were my introduction to full bore death metal, and were one of the few bands that got me through the metal wasteland of the 90's. Well, I came across this page which happened to mention her gear. 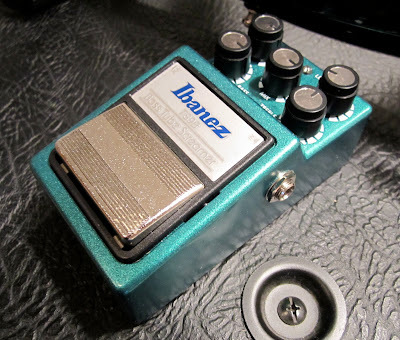 I couldn't run out and get her cabinets and bass, but an Ibanez Tube Screamer I could manage. She probably used one of the "for guitar" varieties since the TS9B is new this year, but I decided to give the new "for bass" model a try. There is all kind of subtle tone shaping you can do with knobs to control bass and treble. There is another knob to crank up the overdrive, and another knob that lets you mix the dry bass signal with the overdrive depending on how much growl you want. This thing does growl. It also has a level knob which equals my bass volume when its set around 9 o'clock. Up around noon the volume starts getting insane, and there's still five hours to go. I've been running with the bass, drive and mix around 3 o'clock and the treble straight up, but it sounds good with everything cranked as well. It just has a great overdrive sound while simultaneously keeping the musicality of the notes. I had an el cheapo Danelectro FAB Overdrive (to be reviewed at some point) on overdrive duty for a while, but it definitely started to get mushy and indistinct when pushed compared to the Tube Screamer. On the other hand, the Screamer is my most expensive pedal to date. But, in the interest of bottom feeding, it is definitely not on the high end as pedals go. Until next time, have some Bolt Thrower. Check out the bass. I would recommend this bass pedal as well. I have seen tons of good deals for it on ebay. Can the TS9B be used on guitar? Is it the same as the TS9, with just ability for a lower voice? I play both bass and guitar and wondering if I can use this for both or am I better with a TS9 for the guitar?